Here’s a story about Mike Tyson and umpire Ted Barrett. 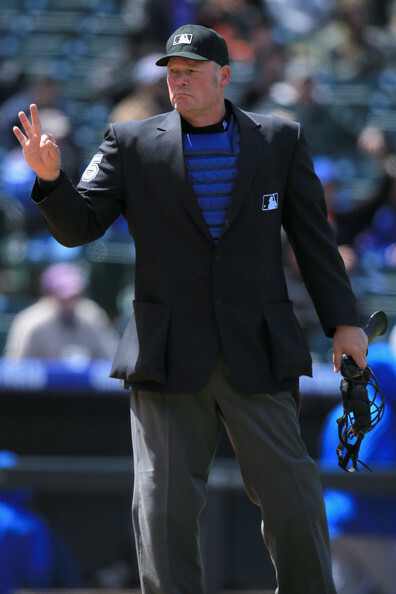 SCOTTSDALE, Ariz. — After the Dodgers tied the Giants yesterday, manager Don Mattingly mentioned that there is no instant replay, and no challenge system, in place during spring training. When a reporter suggested that he dispute calls the “old fashioned way,” he declined. As an amateur super heavyweight (more than 201 pounds) boxer he was 36-6 with 20 knockouts. He never fought as a pro, but sparred a lot against guys like Greg Page and James Broad, and worked out with George Foreman and Greg Haugen. “My family says I was the greatest pro fighter who never was,” Barrett said. Maybe Barrett and Tyson did cross paths at some point. They’re close to the same age (Barrett is about a year older) and the article mentions that Barrett is originally from upstate New York — where Tyson honed his boxing chops en route to a brief-but-memorable reign as the undisputed heavyweight champion of the world. A Mike Tyson story on a baseball blog. Enjoy it. They don’t come around often.